Synopsis: The dangers of bigotry for its targets, practitioners and those who fight it; personal questions to face; bigotry more deeply defined with a deeper psychological understanding of its dynamics and causes; Adamant Love as bigotry’s best enemy; the survival necessity of fighting bigotry and three major ways to fight bigotry with love are well and succinctly presented in this mini-love-lesson. Bigotry is dangerous! Not only does bigotry cause harm to others but eventually it becomes self-destructive to those who obsessively practice it. It works much like a dangerous, contagious disease often subtly spreading and becoming more virulent and resistant to cure as it infects more and more of the vulnerable. That is when the hate and fear-based core of toxic bigotry can come to dominate the entire life of the bigot destroying everything even connection to other bigots which is thought to be the last thing to go. Family life, social life, physical and mental health, self-care and everything constructive usually eventually suffers due to bigotry’s pathological effects. Physical disease susceptibility tends to grow and bring about a final demise of the profoundly bigoted. That is part of what research into bigotry is revealing. Research also gives evidence to bigotry being a serious and dangerous, pathological psychodynamic for all concerned (Check out The Violence of Hate, 3ed. by Jack Levine and Jim Nolan). Of course, in many people bigotry appears in milder and more restricted forms. Even there, research suggests it has a corrosive effect on its practitioners, on their healthier relationships and on the people they effect. Even in its milder forms, bigotry retards progress and advancement by merit, and thus, it works to limit societal improvement. There is one good thing about bigotry. Paradoxically throughout history, bigotry has been a great help to the countries who welcome the refugees of bigotry. Many countries’s best and highest achievers in countless fields were once escapees from persecutory bigotry. Combating bigotry can also can be quite dangerous at times. Done unwisely and without sufficient self-care, bigotry can get you and yours hurt, harmed and, although rarely, may even get you or yours killed. However, not fighting bigotry can arrive at very similar results, but perhaps for different victims. Often it is the innocent, uninformed and the unaware who fall victim to bigotry’s most dangerous acting-out manifestations. Love (not reason or facts) is bigotry’s most successful enemy. But because of bigotry’s considerable danger, opposition is best accomplished through tough love, or more accurately, love’s strongest most powerful form known as Adamant Love (see “Adamant Love – and How It Wins for Us All”). Softer forms of love, such as compassionate love, usually are treated by bigots as only contemptible weakness. Reason and facts have their place but they only treat, if at all, the surface symptoms of bigotry (fallacious thinking) not even touching the profound hate-undergirding fear and bigotry’s deep roots in personal love deprivation. What exactly is bigotry? What causes bigotry? Who becomes a bigot? Are you or those you care about perhaps unknowingly infected with the seeds of pathological bigotry? Most importantly what can be done that works to prevent and defeat bigotry? To effectively go against bigotry, it helps to have good answers to these and similar questions. For all that, here is a bit of assistance. Overtly and at the surface symptom level, bigotry simply can be defined as stubborn and intense intolerance of any opinion, belief, creed, policy, tenant or lifestyle differing from one’s own. More completely, bigotry is also obstinate intolerant, blind devotion to one’s own opinions, prejudice, viewpoints, lifestyle and one’s own identity tribe’s myths, mores, customs, values, hatreds, conceptualized enemies and hierarchies done to the defensive exclusion of the thoughts, feelings and behaviors of outside other identity groups or tribes. A deeper more psychological understanding suggests that bigotry is a deep-seated, unconscious fear and insecurity about being replaced and reduced in importance, and not having the qualities and attributes necessary to maintain one’s level of importance, status and general sense of okayness. Hate-filled bigotry seems to be most strongly activated when the bigoted perceive or sense they are in danger of having their own inadequacies exposed and social standing reduced. This is especially onerous to bigots when it involves being compared to what they consider to be lower status identity groups which might gain higher status over their own. Such inadequacy fears activate the brain’s defensive emergency power systems of anger, hatred, rejection and tendencies for exclusionary and/or destructive action taking. Cognitively, the resulting symptomatic thought process is one of self-justifying rationalization rather than real reasoning, dodging, denial and distortion of facts coupled with irrational protective blaming. This is well revealed in the white nationalist’s marching chant, “Jews will not take our jobs”. Exposed in this chant is the secret, underlying fear that jews have what it takes to take their jobs away from them. Furthermore, the secret fear is the white nationalists do not have sufficient adequacy to hold on to their jobs in the face of the Jewish competition which is seen as unfair and perverse. “You have to teach them to hate before they are six, or seven or eight” so goes, the once banned, line from the musical South Pacific. This expresses the simple truth that in many families children are raised to be hate-filled and secretly fear-filled offspring of their likewise-minded parents and relatives. Add exclusionary hate-filled religion, authoritarian sociopolitical thinking, autocratic charismatic leaders and a simple lack of education delineating the superior advantages of healthy, real love and democracy and you have the social milieu ethos that breeds bigotry. Another cause seems to have to do with erratic and inefficient love in infancy and childhood. Research indicates certain patterns of erratic and inconsistent love behaviors occurring in the raising of infants and children cause long-lasting insecurities as well as certain deficiencies in normal physical growth. Both human children and laboratory animals raised with these love deprivation behavioral patterns develop larger fear-based reactions to new and different things and others entering their environment. In children, this sometimes takes the form of obvious bigotry type reactions. In laboratory animals especially monkeys, more primitive withdrawal, fear and angry attack behaviors toward the new and different occur. Behaviorally, consistently well loved lab animals show mostly friendly curiosity toward the new and different. 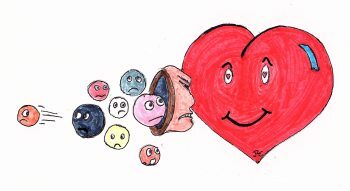 Some developmental researchers suspect that in the above situation of inconsistent, reassuring love which occurs during certain critical periods of brain development, the amygdala (a brain part having to do with processing fear) may be damaged and become lifelong prone to producing stronger and more frequent fear feelings, interpretations and resulting fear-based behaviors. Such children are suspected of becoming more highly susceptible to developing bigotry-filled outlooks on life and especially toward anything or anyone new and different. Similarly, certain research results in the neurosciences and genetics suggests some people inherit amygdalas that easily overproduce, and too frequently produce, strong fear and resulting defensive anger reactions when encountering new and different others. Other brains, especially those of children securely loved in their infancy, tend to produce happy curiosity on encountering the same new and different others. The genetic neuroscience results posit that between 10% and 40% of bigotry may be attributable to genetics. The highly healthfully, self loving and those who live in happy, healthful, love-interactive, inclusive and not isolationistic networks tend to be those least prone to developing bigotry. Likewise, those who have the most frequent personal contact with people of varying identity groups tend to be the most comfortable and appreciative of people differing from themselves. Those who have the least contact with people of identity groups different than their own tend to exhibit the most fear of differing others. Basically, more contact equals more comfort and less bigotry. Love naturally opposes bigotry. Healthy, real love is kind, compassionate, not easily threatened, inclusive not exclusive, prone to seek the well-being of all, brave and much more – just as Jesus, Buddha, Krishna, Rumi and the Scriptures of the major religions of the world have taught us. Bigotry is fear-based, hate empowered, exclusionary, unkind, easily threatened, defensively aggressive and prone to seek only the well-being of the similarly bigoted. Adamant love is the type of love which is strong, determined, steadfast, powerful in face of adversity and in the service of the well-being of the loved (see “Adamant Love – and How It Wins for Us All”). It, therefore, is likely the form of love best able to powerfully combat the fear and hate of militant bigotry. Other forms of love such as compassionate love and serene love also have a roles to play. Working and Fighting for Love Victories Is the Best Option! Let me suggest, it is good but not enough to be against bigotry, hate, prejudice, inequality, etc. It works better to also be for what needs to go in place of those things, or in other words, fill the vacuum that defeating bigotry leaves. Otherwise, like weeds, they return. Growing evidence points to humanitarian, altruistic and inclusive, healthy, real love being the best, strongest and most positive vacuum filler. Wherever love loses, and bigotry, hate and/or indifference wins, history shows disintegration, destruction and demise become the eventual outcome. This proves true for couples, families, societies, nations, cultures and even empires. You can read all about that in A New Reality by Drs Jonas and Jonathan Salk and in several of Jonas Salk’s previous works. This is also well backed by the work of Dr. Reuben Fine in The Meaning of Love in Human Experience and also in Love and Survival by Dr. Dean Ornish. Three Ways to Fight Bigotry with Love! 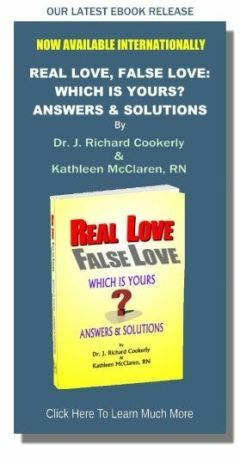 First arm yourself with knowledge about the behaviors that convey healthy, real love. That knowledge and those behaviors become your primary tools or, if you prefer, weapons by which you can fight for and with love and against bigotry (see “Behaviors that Give Love – The Basic Core Four” and Link “A Behavioral (Operational) Definition of Love”). Now for a little personal example. At an interfaith conference, I once had the privilege of seeing the theologian, Nels Ferre, lovingly handle being confronted by two very angry and accusatory Palestinian graduate students. Through the sincere use of love listening techniques, friendly facial expressions, kind tones of voice, open arm gestures and non-combative questions, he literally loved them into receptiveness. The next day they were all walking to breakfast together laughing and acting like long-standing comrades. Best of all, the Palestinians were now very interested in listening to Dr. Ferre’s input, where before, interruptive attack statements were all they seemed capable of. You might want to review what your own religious tradition teaches about love. Most major religions have very important, healthy, positive things to say about how we are to love one another – which turns out to be in surprising agreement with each other. If and when you encounter anyone talking or acting in bigoted ways, think about not arguing with them or being silent but rather with kind, expressional love (see “A Behavioral (Operational) Definition of Love”) asking them a few questions and perhaps later getting around to a short, positive, personal testimony, laudatory statement about the people they seem to be against. Imagine saying something like “what you’re saying about them could be true, I suppose, but my own personal experience with them has been mostly quite positive. Why do you suppose that is?” In this way you use some of your behaviors of love tools, usually avoid the wasted energy of combativeness, and just possibly get your positive message actually heard a bit. Second, Live Social Diversity! The research is clear. The more people personally experience those of other identity groups the more bigotry, negative bias and prejudice diminish and feelings of fraternity grow. There are exceptions but not nearly as many as researchers once thought likely. Those people who have the least contact with any outside identity group tend to exhibit the most fear, disapproval, intolerance, and bigotry toward that group. It has long been noted that, for the most part, it is not the people who live along a peaceful border who are intolerant of those on the other side but those who live further in-land away from that border, and out of contact with those people across the border. So, though it is sometimes complicated and difficult work to seek contact with those who are different and diverse from yourself and your own identity group, I bet it will prove well worth it. In your own environment, ponder who are the most likely targets of bigotry, exclusionary treatment, negative bias and derogatory opinions. Seek some of them out. Start with the concept that if you get to know some of them you probably will be considerably enriched by interacting with them. And you probably have a lot to learn from them that will be ever so good for you to learn. Not only that, you will increasingly enjoy it and, who knows, you may make a truly loving friendship or two. Almost everywhere there are both informal and organized groups of people made up of those who interact with and/or support people who are more different from you but who are open to your inclusion. It takes a little social bravery and doing a bit of homework but you can find and start befriending some of them. They may be a little protectively standoffish at first but keep being friendly and you can put them in your life and be better for it and likely so will they. Third, join and become active in one or more groups that actively fight for or work for positive social diversity interaction and democratic equality/inclusiveness. You also can join and be active in groups that fight against hate, bigotry and various forms of destructive prejudice and authoritarian anti-democratic movements (Check out the prevention programs of the International Network for Hate Studies and the Counter Bigotry Action Report of the Unitarian Universalist Service Committee). You can do these things both locally and in much wider ways. For instance, both globally and locally and also for an easy start you might want to join up with Friendship Force International where you get to fairly inexpensively travel to and live briefly with people in other countries all over the world. Then you get to host some of them in your home if you wish. Remember, Mark Twain told us “travel is fatal to prejudice, bigotry and narrow mindedness”. So, the challenge is be a part of those who fight for the ways of healthy, real love and against the anti-love forces of bigotry, hatred, prejudice, etc. Part of that challenge is to not live inactive or indifferent about love. Both inaction and indifference assist the anti-love forces which would and could destroy us all. One More Little Thing. How about talking all this over with somebody and in the process tell them about our FREE mini-love-lessons and our FREE subscriptions. We would appreciate that. Quotable Question: Could the human race lose the race for human survival because enough humans didn’t fight hard enough for treating one another with the ways of love?